Extras - Internet Options - Security - Internet - Custom Level - Scripting - Active Scripting - activate. Extras - Einstellungen - Web-Features - vor "Java aktivieren" und "Java Script aktivieren" jeweils ein Häkchen setzen. YOU CAN MAKE A DIFFERENCE by donating what you can afford! COPE version 51.5 [51 574 entries | 116 153 references | 1 600 059 internal links] will be released only if I get more subscriptions or find a philanthropist to guarantee open access. 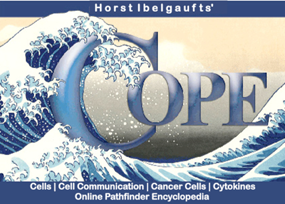 Registration: Access to COPE contents requires registration and payment of a subscription fee. Rates: 12 months: 99 USD | 6 months: 65 USD | 1 month: 12 USD. The pdf files introduce COPE (scope and contents) and show you what to expect. COPE copyright © 1997 - 2019 and all rights reserved by H. IBELGAUFTS. Automatic source text hypertexting developed by J. IBELGAUFTS.